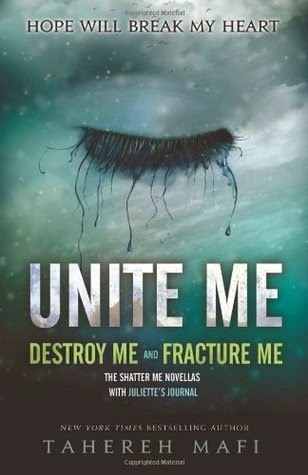 Perfect for fans of Tahereh Mafi’s New York Times bestselling Shatter Me trilogy, this book collects her two companion novellas, Fracture Meand Destroy Me, in print for the first time ever. It also features an exclusive look into Juliette’s journal and a preview of Ignite Me, the hotly anticipated final novel of the series. 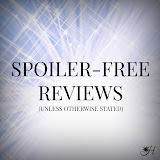 The Shatter Me series is perfect for fans who crave action-packed young adult novels with tantalizing romance like Divergent and The Hunger Games. This captivating story, which combines the best of dystopian and paranormal, was praised as “a thrilling, high-stakes saga of self-discovery and forbidden love” by Ransom Riggs, bestselling author of Miss Peregrine's Home for Peculiar Children. We already get the chance to see most of her journal entries between Shatter Me, Unravel Me, and Destroy Me, but I liked seeing them all in one binding and simply rereading them all again. It's a very peculiar thing to be in Juliette's mind when she's at the lowest points of her life.